So, why was the trip to the Canyon so bad? 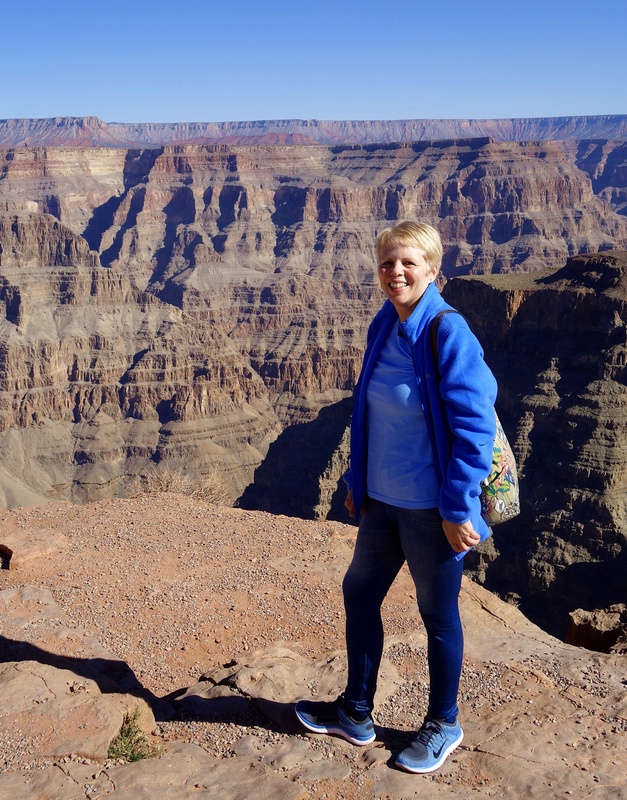 Given that I am going to show you some great photographs, what was wrong with my Grand Canyon trip? I am cheap, thrifty and love a bargain. Therein lies the problem; busy flight to Vegas paid for by Teddy’s miles. 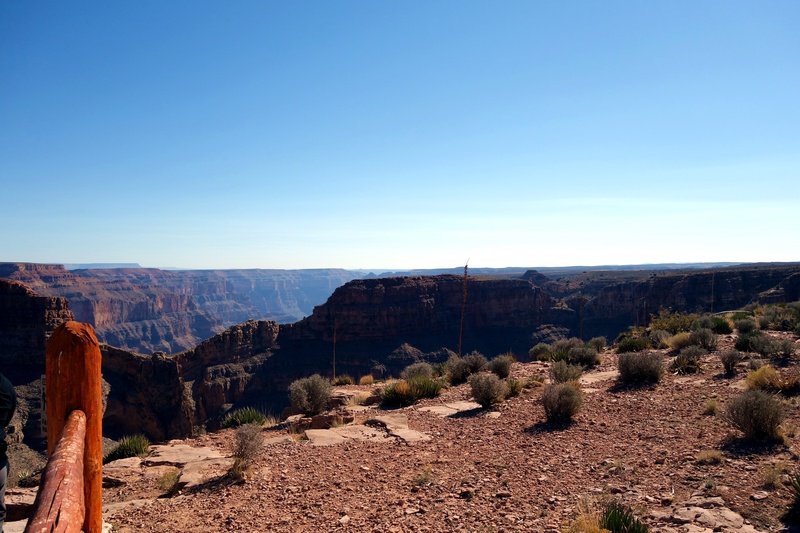 I considered a helicopter ride to the canyon but decided to use my ancient British Airways miles for a prepaid tour bus to the western rim of the Grand Canyon. It sounded so marvelous: comfortable tour bus; wonderful guide; lunch on the Tribal Land of the Hualapai viewing the Skywalk. Blah, blah, blah – all I saw was that it was free. I blame my upbringing in Scotland. Even better, they picked us up at our hotel. They omitted to mention some critical facts. There were quite a few singles among the groups of tourists. Another, very sensible, lady and I were last to get on my bus but there was only one seat left. She decided to get the next bus; impatient Kerry got on the bus…from…hell. My seat was in the middle of 5 seats in the very back row upstairs. Somehow in all of this excitement I forgot that I have a congenital spinal problem and take medication for that. In the row was a Spanish speaking family, obviously tourists, who looked unhappy that I was going to take up their extra space. I was equally unhappy. After we got underway with a very jolly guide, I attempted to converse briefly with my fellow guests. I discovered they were from Costa Rica and then nothing. That made me curious because almost all the Latin American guests that I meet at the airport are friendly and very polite. I was certain they were not originally from Costa Rica. They looked nouveau riche, not uncommon in our part of the world. Before we even reached the Hoover Dam, the senora next to me was snoring on my shoulder. Sigh. Without revealing everything about the trip, I was relieved they did not know I could understand Spanish and by the time we returned to Vegas, my mind was whirling with nefarious plans for their demise. I jest of course… but do I? My conclusion about mi amigos was that they were Cartel. Their bags and clothes were ludicrously expensive and didn’t seem to match their coarse language peppered with Puta and Pendejo. I would guess that they originated in Mexico by their accent and looks. They endlessly encroached on my limited space with no apology. The final insult was passing candies across me to each other, without offering me one or a ‘disculpe’. They were only part of the problem, however, and I was still relatively excited by the time we crossed into the Tribal lands, spotted Joshua trees and then finally glimpsed the canyon. I don’t know if any of you have taken this particular route to the canyon but the Hualapai Nation have really gone to great lengths to satisfy the endless thirst of tourists. 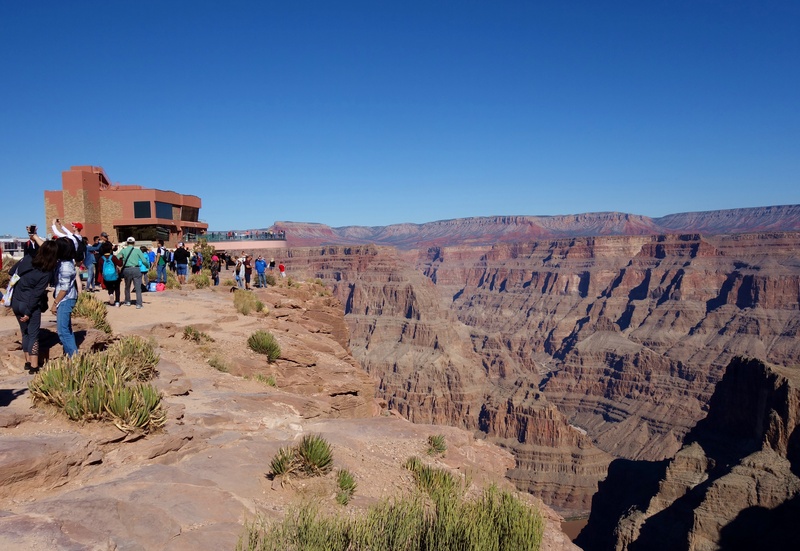 There is the infamous Skywalk – you pay even more money to walk on it and then you cannot take any photographs. You could have lunch at various places and shuttle buses regularly rotated between the Skywalk, the Wild West Show and the plain old canyon. What is wrong with this image – the people!!! Marriage to Teddy, who taught geological field-trips in Utah and Colorado, has given me the opportunity to see amazing natural wonders without so many tourists. 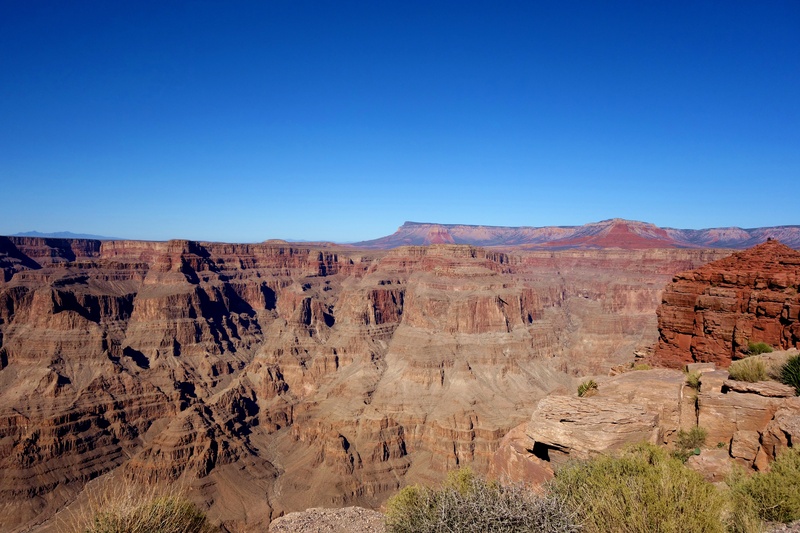 Although the Grand Canyon is the largest, it wasn’t the prettiest or most photogenic. At the main viewing site, I felt constrained by having too many people around me, all trying to take dangerous selfies. Without thinking about the consequences, I walked off into the road so that I could be alone. Almost immediately I was corralled by a tribal guide who told me to stay within the invisible tourist perimeter. There were very sensible health and safety reasons for that – the shuttles drove fast and I could have easily got lost or fallen off the edge. Lunch was not particularly appetizing but it did make me think about how difficult life would be on most tribal nations. The bathrooms were clean but had a sign asking us to conserve water. I wondered how often they had to drill new wells or was the water shipped in? Even though I had another hour or so, I decided to head towards the shuttle back to base. Alongside was a tent with tribal members selling hand-made trinkets. One young man was just the image of my father. Although our native DNA is from North West Mexico, it is pretty close to South West USA. There were no borders before the Europeans arrived. We started chatting and he told me that when the Hualapai Nation were given this land it was mostly useless. As pretty as it is, there is no value in land that you can’t use. It isn’t really suitable for crops or grazing. Back in the day no one realized how valuable this type of tourism could be. 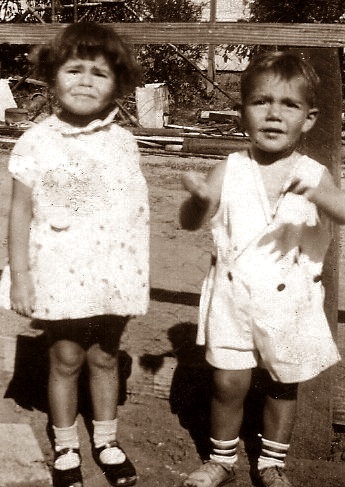 His sister Pearl had made the earrings I admired from Hematite, a healing stone in their culture. I bought them for a friend who has cancer. This was my favorite part of the trip, truly connecting with a real person from the canyon. I get dizzy just looking that those photos. I’d be afraid to fall off. Still, it is beautiful. Oh dear! Please go but from another viewpoint. It is tremendous. I can see by the youtube below is what you were thinking with your Costa Rican company. The trials and tribulations of touring I am afraid. At least the bathrooms were clean. I won’t go into detail when I went into a bar in Florida. That was nasty. Oh, I have seen some interesting loos around the world. The worst was in Lyon, France. The good thing about the excursion Kerry us that you didn’t fall into the canyon. I hate taking group tours, they bore me and I feel like I’m in a sterilized bubble. I would rather venture on my own and to chit chat with the locals. I get a more realistic perspective of thing that way. Been there done that. Very smart not to take the helicopter ride. It looked like fun (helicopters) when I saw them landing but some seemed a bit crowded. The pictures turned out great! And I’m glad you got to talk to the people selling the crafts. Even though it sounds like you had quite an adventure getting there, yikes! I am just old, Leah. 😁 Cranky with sore bones! I can see you have mixed feelings about this trip. It is memorable if not fir that awesome view and stories to tell! Isn’t it marvelous that there is always more to talk and laugh about on a bad trip? Bummer about the tour, but I have to say that we loved the helicopter ride. I think that would have been better for me and what a perspective! 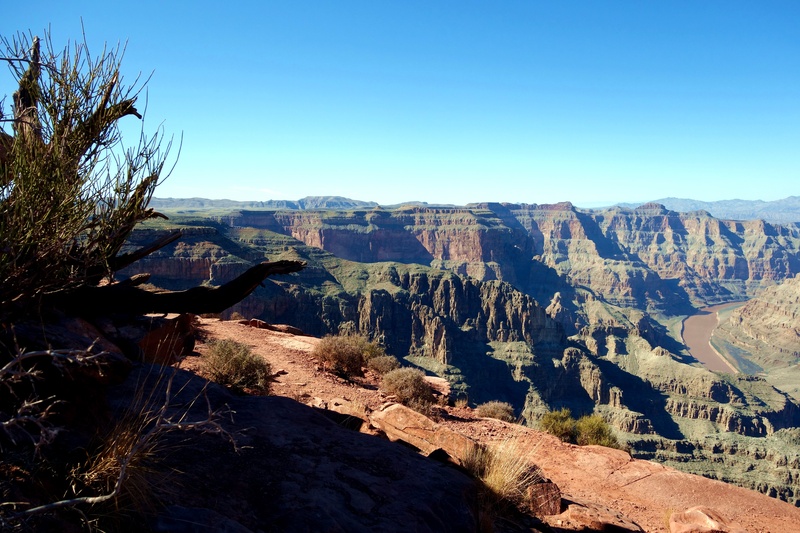 Sounds like a rough way to see the canyon, but glad you got to connect with someone and enjoy the beauty through it all! I really like that quotation and it is so true. It hardly seems possible that I miss parts of Cairo and yet was often deeply unhappy while there. I guess it is an innate resilience that we have. Arizona Highways is the best window on Grand Canyon. It is necessary to spend a great deal of time in varying weather conditions to appreciate it. Nothing better than a rental car, google maps and a plan. I think that would have been a much better plan! Interesting blog Kerry even if you didn’t enjoy it that much. How amazing that you have a picture of your dad from the 1930’s … it’s in such good condition! Thank you, Margarisa. Methinks Teddy cleared it up a bit in the past. Wonderful place. My sister was there and she loved It. Those Costa Ricans do sound suspicious – and no manners too, tsk, tsk! I love chatting to folks when traveling but I usually go to less touristy places. Thank you!